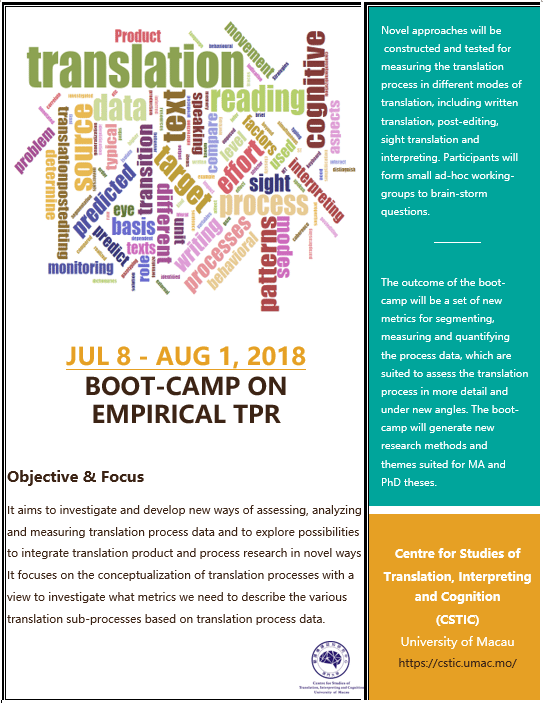 The boot-camp aims to investigate and develop new ways of assessing, analyzing and measuring translation process data and to explore possibilities to integrate translation product and process research in novel ways. It focuses on the conceptualization of translation processes with a view to investigate what metrics we need to describe the various translation sub-processes based on translation process data. The boot-camp is of interest for PhD researchers, post-docs and senior researchers, covering different fields of expertise, including translation studies, psychology and psycho-linguists, as well as computer science researchers with an interest in machine learning, data analytics and artificial intelligence. Around 30 scholars and researchers from Canada, Brazil, Germany, Spain, Ireland, and mainland China, have been invited. How can eye movement data be used to infer higher level coherence processes during translation/post-editing beyond the sentence level? Which factors determine the transition from target text reading to source text reading in different translation modes? The boot-camp working groups will meet on a daily basis to report/discuss/exchange their progress and develop new questions and approaches to integrate translation product and process data. Participants are expected to attend the entire boot-camp duration of four weeks. Three to four senior researchers will lead the working groups, discuss technical problems and collaborate to direct the various subprojects. Additionally, experienced scholars are invited to give presentations on a related topic and to provide further input to the working groups. 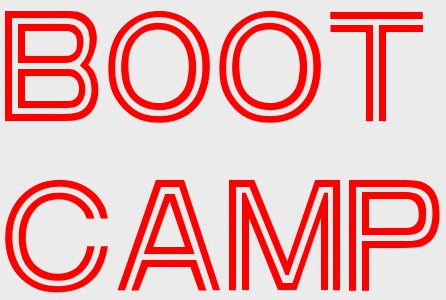 However, the boot-camp is intended to be mostly a bottom-up workshop with only the necessary and basic theoretical background. The outcome of the boot-camp will be a set of new metrics for segmenting, measuring and quantifying the process data, which are suited to assess the translation process in more detail and under new angles. The boot-camp will generate new research methods and themes suited for MA and PhD theses.